Charter Day School Elects New SGA Representatives! You are here: Home » Blog » Charter Day School Elects New SGA Representatives! 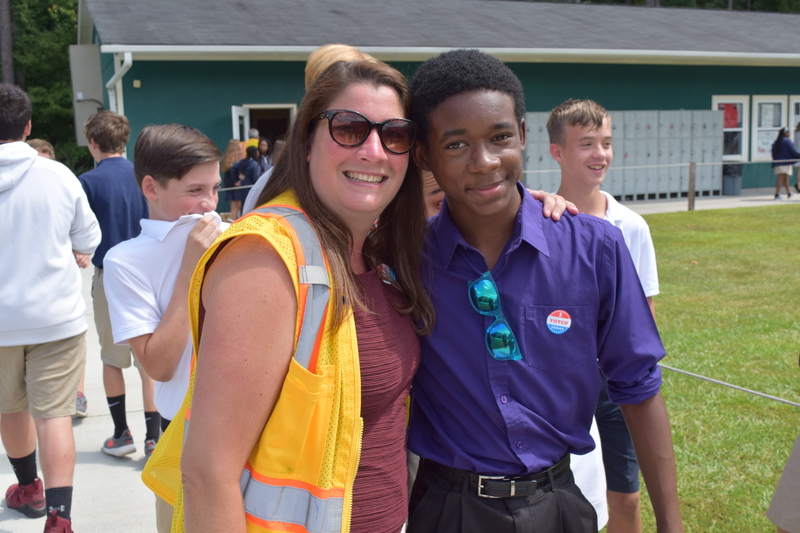 Leland, NC – Eighth grade student Ty’riek Harrelson and seventh grade teacher Ms. Brangan celebrate Ty’reik’s election as Student Government Association (SGA) President. Over 260 Charter Day Middle School students turned out to vote for this year’s representatives. In addition to Ty’riek as President, Alyssa Albertson won Vice President, Noah Craven won Secretary, and Nami Baggett won Treasurer. Twelve further middle school students were elected as representatives – four from each grade. Set amidst 80 acres in Leland, NC, the Charter Day School (CDS) is in its 18th year as a high-performing program of classical education for kindergarten through 8th grade. With parents in North Carolina having the freedom to choose – tuition free – where their children are educated, CDS is a charter school that draws over 950 students from across Brunswick, Columbus, New Hanover and Pender counties. Located at 7055 Bacons Way NE, Leland, NC 28451, Charter Day School is one of four charter schools managed by The Roger Bacon Academy, Inc. The other schools include Douglass Academy in Wilmington, Columbus Charter School in Whiteville, and South Brunswick Charter School in Southport. Charter Day School is a tuition-free, charter school that welcomes all students, regardless of income, ability, or address. To learn more or enroll online, please visit www.charterdayschool.com.